Business plans and revenue forecasts for new products and market initiatives are often based on pre-conceived conclusions, opinions and anecdotal analysis. Going to market with the proper intelligence increases your chances of success, reduces your time to market, and helps to minimize costs and potentially fatal missteps. SGI tests your assumptions against real world data. The more you know the better you can plan, and ultimately the better your financial results. 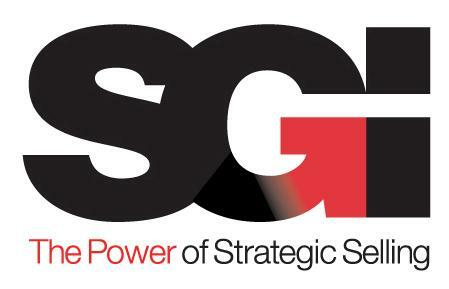 Customer Satisfaction Surveys: SGI will conduct detailed and rigorous customer satisfaction surveys which employ accepted industry metrics and provide clear perspective on how satisfied and loyal your customers are. You will also gain the perspective on why they feel the way that they do and you will be given specific recommendations on what actions to take to make them more satisfied and loyal. Win Loss Analysis: Why are you wining or losing sales opportunities? How do your customers views on this compare to those of your sales organization? If no decision was ever made how could this have turned out differently and in your favor? What needs to change? Sales Effectiveness Research: SGI can conduct primary research surrounding key sales metrics as they relate your sales process and organization, how your customers buy, how they can best be sold to?